We check the time on our watches, cellphones. Why not giving another option for the user on the go? Go to the Content tab on your OnSign TV workspace. Click the "New" button on the top-left, followed by "App". 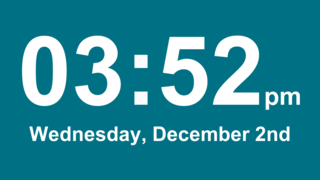 Small Clocks: These small clocks are great as they don’t need to occupy the whole screen. You can just set them to a small screen zone and let the focus remain on the main content. 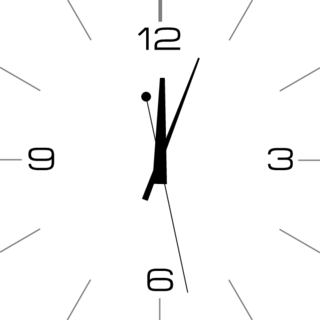 Clocks are available in round and square layout. If you want something more modern looking, we offer a digital style clock. 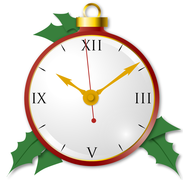 There is also a holiday themed clock for Christmas time. 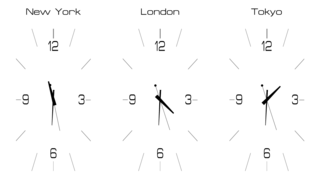 Multi City Clocks: A staple of international scenery are multi city clocks. 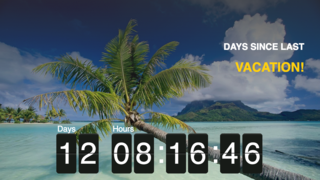 OnSign TV offers two sets of multi-city clocks. 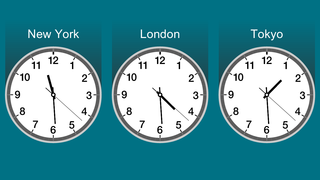 Set three different cities and trace your international clients' and coworkers’ timezone. 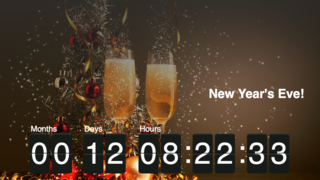 Countdown and Time Elapsed: Begin the anticipation to holidays or special events with the countdown app. 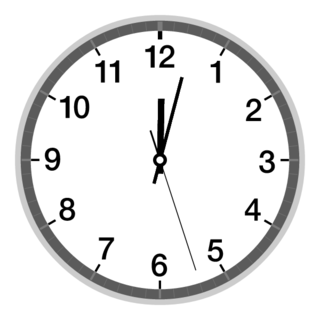 The time elapsed tool, on the other hand, keeps track of how much time has passed since an event occurred – such as an accident or the last time a client had a complained. As you select the Clock App for your campaign, you will be requested to adjust the settings. Besides the basic information, like app name and location, you are able to customize colors, dial numeric systems and backgrounds. The settings vary for each clock – while some are fully customizable, others will only allow for a few color changes. Click on "Preview” to check how your settings look. If you like the result, hit “Save”. The App is now part of your App folder in your Content Library and ready to be used.